SEO spelled as Search engine Optimization is a reality which has benefited a number of websites helping them to grow within their audience and is an ever growing term. The processes affecting the visibility of your websites on the web to huge viewers ask nothing but just dedicated time and knowledge of yours. 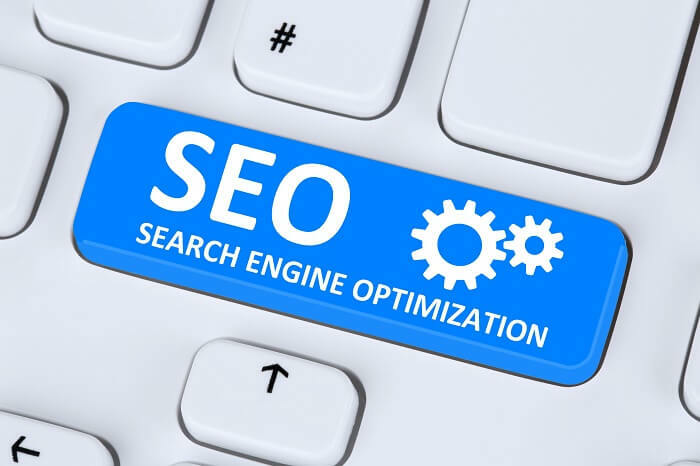 SEO targets each and every type of search result from video search to news search, from image search to academic search; everything is based upon the search engine algorithm and the words you quote in your content. As the race is about the phrasing of words into sentences and holding on to activities like cloaking, keyword stuffing, everyone seems to be in a rush to the finish line to and take their website to the top of the Search Engine Results Page. But to be very honest those ways of manipulating the results were a 90’s thing and have dried up for quite a time now. Thus, these terms need to be deleted from your vocabulary as soon as possible. For example, the word “Top” the word top which most of the websites use to represent themselves, mostly favors big brands and is nowhere going to help a small startup to grow and get to the top. So if you don’t want to be a speck of dirt on the race track, just waiting to be swept away, better delete these words from you SEO dictionary permanently. SEO isn’t dead. It never will be. The day SEO dies, there will be no scope for virgin businesses to make their mark on the Google Search Pages. The ranking factor was one of the most overused SEO terms in 2017 but should not be followed in 2018 at any cost. Often people make perceptions about a lot of things which are nowhere a pro in SEO dictionary and ends up getting nothing. Thus, the better way through is naturally optimizing the website and keeping those tips and tricks aside for better productivity. I personally analysis this for CDR writing service for engineers Australia website. Surely Page Rank is good to know about as a useful concept. But since search engines like Google and Bing don’t pay much heed to it. Page rank isn’t of any importance now and is not a number worth tracking. Cloaking is implemented to improve search engine ranking by websites and is a black hat SEO process. Cloaking misleads the search engine into thinking that the content on the page is different than it really is. Such practices are now punished by search engines so I suggest you to stay away from them, or you will be sorry. This one is a bit overused and irritating. Potential leads are often spammed in their emails, messages and through cold calling. This is high-cost low return policy, with a very big drawback to pushing a potential lead away. Communicating with consumers is crucial but providing more than enough information is also a trap. A business brand is its distinct and core identity but sometimes excess sales promotion efforts oversaturate the market with the advertisement which could erode the effectiveness of advertising and damage the brand value. Storytelling and SEO are like water and oil with different definitions all over. Storytelling is just another form of fooling your customer. Your brand story may connect to the reader but still, the product will be judged by use. Brand name abusing has two-fold motives firstly to gain specific benefits’ on a particular website and secondly degrading or damaging a brand reputation one hates. But the idea is a total flop where you are just promoting some other brand thus wasting those precious minutes of yours. This is a trend that got very popular among SEO engineers. Keywords are important, but spamming them isn’t. Same keyword titles for several articles in a row. You should never do this. Keep finding new keywords and use them. This will not help you anymore, so it’s only reasonable to keep juggling new keywords to keep your popularity growing. Well, I hope you will remove these Stone Age and toxic tricks from your SEO trick-bag, taking a more productive turn towards your website’s SEO. How to Improve the Page Speed of the Website for Mobile Device?